One of the biggest offenders when it comes to blocking is the Norton Internet Security package. As a demonstration, here is a image of Google's logo, taken from their website at http://www.google.com/images/logo.gif. I would consider a logo to be advertising, but the Ad-Blocker in Norton's Internet Security Package lets it through. 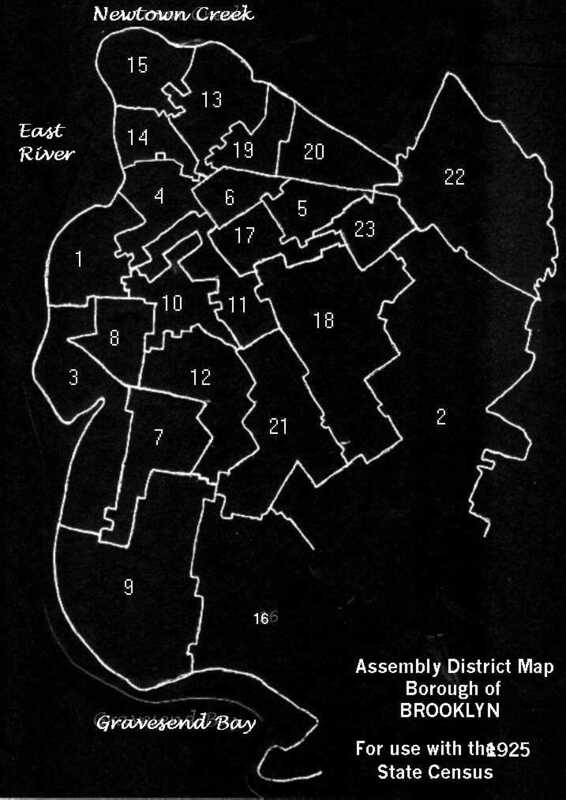 However the following Assembly-District map, which which comes from http://bklyn-genealogy-info.stevemorse.org/Image/1925.AD.jpg and is clearly not advertising, will not be displayed if you have Norton's Ad-Blocker turned on. If you don't see an image below, that's probably the reason. Note: This is just a demonstration of how a specific feature of a very popular Ad-Blocker can adversely affect my website. Just because you passed this test does not mean that some other Ad-Blocker, or some other feature of this Ad-Blocker will not block some other aspect of my site. So you might need to disable your Ad-Blockers regardless of whether or not you passed this test.